H.E Eng. Sultan bin Saeed Al Mansouri, UAE Minister of Economy, and Chairman of the General Civil Aviation Authority, in the presence of His Highness Sheikh Ahmed Bin Saeed Al Maktoum, Chairman of Dubai Airports; President of the Dubai Civil Aviation Authority; Chairman and CEO of Emirates Group and H.E. 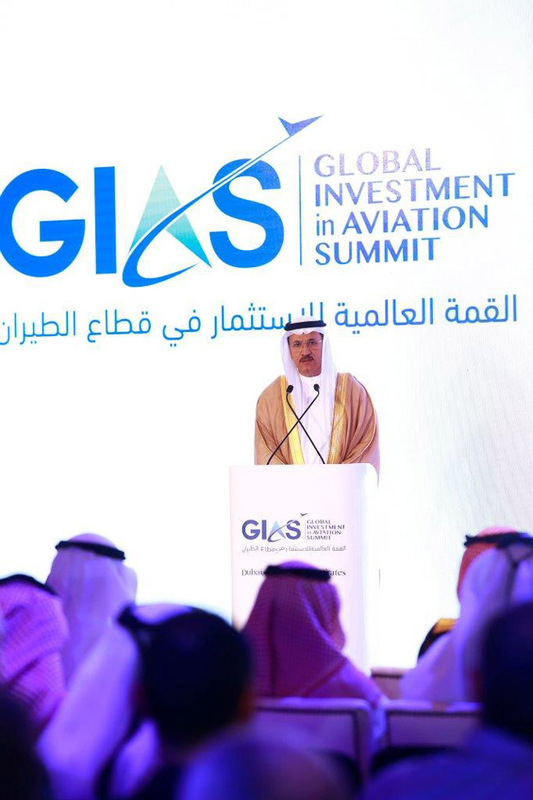 Saif Mohammed Al Suwaidi, Director General of the General Civil Aviation Authority inaugurate the “Global Investment in Aviation Summit” on Monday, 28 January 2019. The UAE General Civil Aviation Authority and International Civil Aviation Organization (ICAO) signed a Memorandum of Understanding (MoU) at the ceremony to develop and expand cooperation for the establishment of Sheikh Mohammed bin Rashid Global Aviation Award (SMBRGAA). The MoU will serve to establish and implement joint efforts to promote the development of international civil aviation in a safe and orderly manner. The award aims to encourage and promote cooperation whilst ensuring a healthy competition and innovation in the industry that improves the sustainable and orderly growth. The MoU was signed by His Excellency Dr. Olumuyiwa Benard Aliu, President of the International Civil Aviation Organization Council (ICAO) and His Excellency Saif Mohammed Al Suwaidi, Director General of the GCAA. 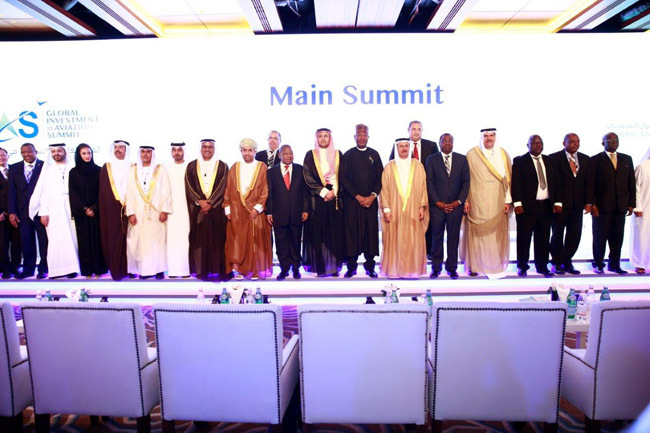 The Summit opening ceremony included a series of keynote speeches and panel discussions for the senior policy-makers and business leaders to share their knowledge and expertise, and to extrapolate the current economic situation and opportunities. The speakers included key economic officials and personalities, such as His Excellency Engr. 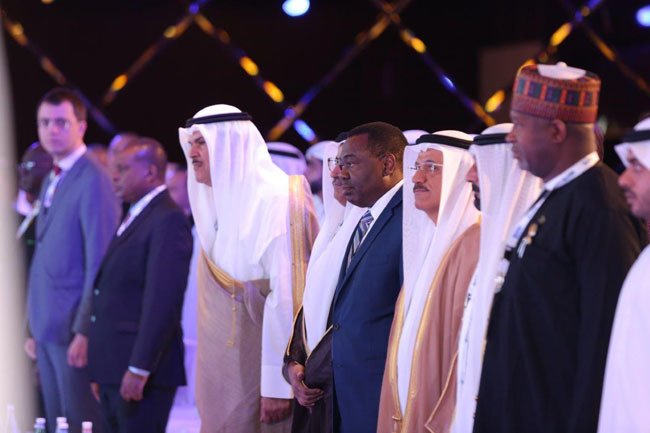 Sultan Bin Saeed Al Mansouri, Minister of Economy, and a speech of Dr. Olumuyiwa Benard Aliu, President of the International Civil Aviation Organization Council (ICAO). H.E also stressed that by the year 2034, civil aviation will witness double increase in number of passengers compared to previous years. This will lead to the emergence of the need to implement modernization and expansion of high-quality airport infrastructure, requiring more investment to match the anticipated investment of $1.8 trillion needed from 2015-2030. This highlights the importance of this Summit by communicating with governments and local and international investors to continue in recent finance, as well as to engage non-traditional investors in the market, such as insurance companies, sovereign wealth funds, banks, free zones, engineering companies, civil construction companies, universities, and others, so that the economic benefits from the aviation sector will be achieved. The minister also added, “Aviation has brought enormous social and economic benefits to the world and one of the pressing issues of developing and advanced countries around the world is maintaining the future of aviation, and promoting it through investment in infrastructure, assets, and new technologies. This is confirmed by reports released by the International Civil Aviation Organization (ICAO), the Union of African States, Civil Air Navigation Service Organization (CANSO), and the International Air Transport Association (IATA)”. On his part. ICAO President Dr. Olumuyiwa Benard Aliu said in his speech at the opening ““Aviation is a global industry, and one which connects people, cultures and businesses across the continents. We should also appreciate that aviation growth and development has implications in terms of reductions in travel time, improvement of service predictability and reliability, global environmental concerns and the reduction of air transport emissions, as well as other national and regional goals relating to educational and human development capacity. ICAO continues to play a key role in: fostering effective partnerships between donors, investors and States; facilitating the mobilization of resources; and identifying, coordinating, and providing assistance to those States in need under its No Country Left Behind (NCLB) initiative”. 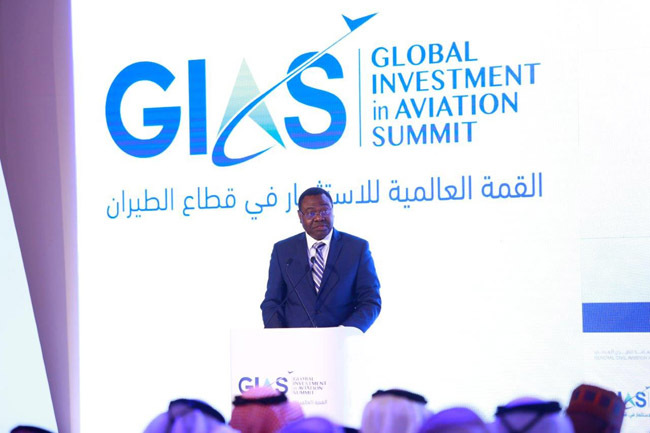 The Global Investment in Aviation Summit hosted huge number of ministers and heads of Aviation Authorities includingEng. Kamal bin Ahmed Mohammed, Minister of Transportation and Telecommunications in the Kingdom of Bahrain, Dr. Olumuyiwa Benard Aliu, President of the Council of the International Civil Aviation Organization (ICAO), Hadi Sirika, Minister of Aviation of the Federal Republic of Nigeria, Blade Nzimande, Minister of Transport of the Republic of South Africa; Volodymyr Omelyan the Minister of the infrastructure in the Republic of Ukraine, and Monica Azuba, Minister of Works and Transport in the Republic of Uganda. The list also includes Captain Sameh El Hefny, Vice President of the Egyptian Civil Aviation Authority, Ricardo Fenelon Junior, Director General of Civil Aviation, Federal Republic of Brazil, Thomas Sastosti, President of the National Civil Aviation Administration, Argentina. Yap Ong Heng, Senior Advisor to the Ministry of Transport, Republic of Singapore , Didier Dogley, Minister of Tourism, Civil Aviation, Ports and Marine Republic of Seychelles, and Eng. Youss Sulaiman Al-Fawzan, Director General of Civil Aviation, Kuwait. 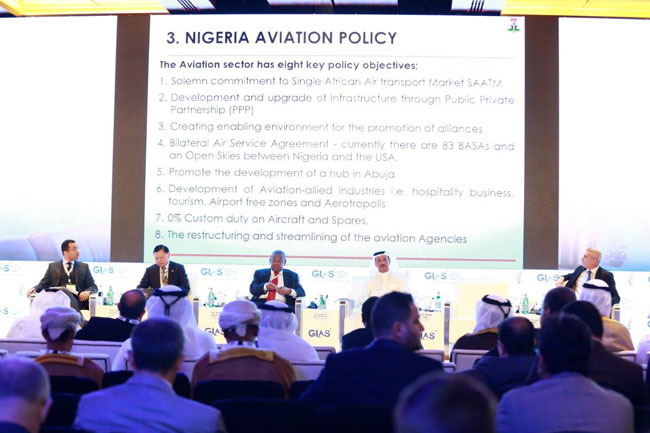 The day one agenda of the summit was a special session for ministers and heads of aviation authorities titled ‘The Vision of World Aviation Leaders in the Aviation Investment and Sustainability’. 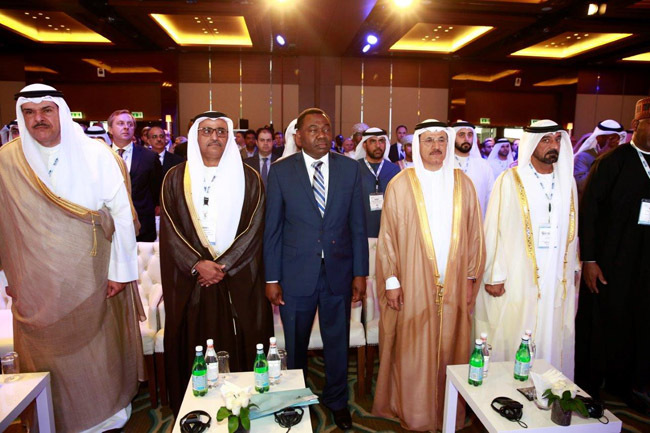 There were also interactive sessions including a panel discussion on ‘Airport investment: Enhancing global airport infrastructures, the second session titled “UAE a visionary platform for aviation investment”, and another session titled “New Aviation Sectors Showcase”. Panel discussion sessions and meetings, which included economic experts and representatives of aviation companies focused on trends in aviation and investment opportunities offered by new technologies, which has become one of the main tools in this sector. Along with exploring future investments in the sector and related services, and the most prominent markets that provide investment opportunities within an ideal environment for good return on investment. 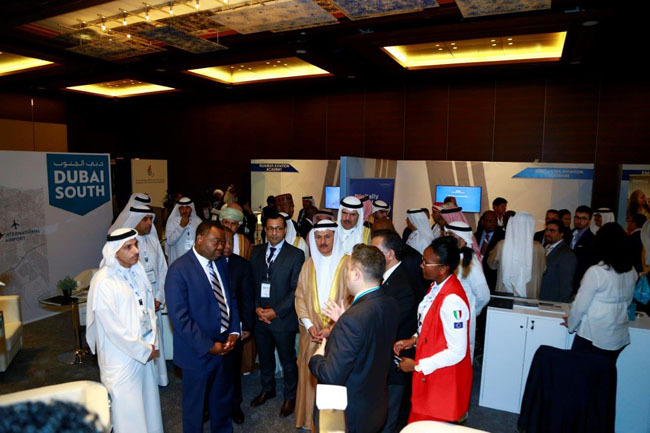 The Summit’s first day witnessed presence of more visitors and distinguished participation of major aviation companies, business executives specialized in provision of services that meet the needs of airports, passengers’ aircrafts, air cargo, logistics, and various other services needed by the sector.